Steel form covered with 3d soft tinsel. Lighted with 100 clear lights. 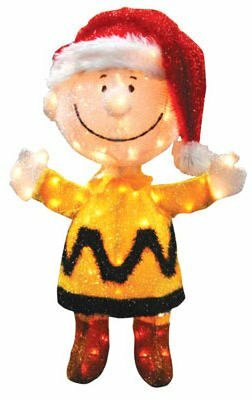 32'' prelit 3D soft tinsel Charlie Brown with red christmas hat. 80 lights. Indoor/outdoor lights. Power required. UL approved.